I really love being part of different blogging communities not only for all of the knowledge I gain, but because I get to learn about so many fabulous bloggers. And that's how I discovered Leelo of Beauty by Miss L. From posts about nail art to reviews of the latest and greatest beauty products, Leelo covers it all -- and, since she's originally from Estonia, her blog is bilingual! Leelo definitely has a refreshing and unique take on beauty, which makes me keep coming back for more. Keep reading to discover how she started her blog, the dry shampoo she can't live without and so much more. I'm from a small European country, Estonia, but at the moment we live in the UK. I have a degree in Educational Science from the University of Tartu and before becoming a stay-at-home mom and full-time blogger I worked as a kindergarten teacher for 5 years. I have always been interested in beauty. I created my blog in 2011 when Mr. R was rotated to Afghanistan for 6 months and so I was kind of bored and I just wanted a new hobby. Sharing my opinion about beauty products that I've tested and used seemed like a great idea. At first my blog was in Estonian only and after 2 or three months it became bilingual. My blog has had three names. The first one was Ei Saa Mitte which only has meaning in Estonian. About 6 months later I changed it to Miss L and two and half years ago I changed it to Beauty by Miss L. It seemed to be the best name for my blog at that time, because most of my posts were beauty related. 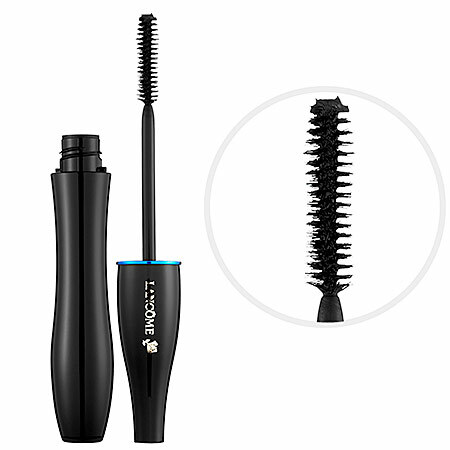 Lancome Hypnose Waterproof Custom Volume Mascara. It's one on of my favorite ones because it adds lot of volume to my lashes, doesn't smear and even though it is waterproof I have no problems removing it. 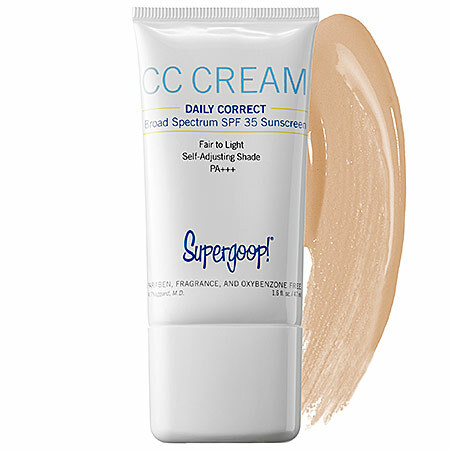 Supergoop! CC Cream Daily Correct Broad Spectrum SPF 35 Sunscreen. It is just so good! e.l.f. Studio Eyebrow Kit. It's affordable and works well. Urban Decay Naked 2 Palette. Suitable for both daytime and nighttime looks and it has great quality. Batiste Dry Shampoo. It is my must-have hair care product. It works really well and makes my hair look and feel clean. 1) Never go to bed with your makeup on. 2) Never skip moisturizer and/or sunscreen. 3) To stay beautiful it is also very important to exercise, eat healthy and sleep 7-8 hours. My spare time is filled with my 2 year old son. I also try to find time for working out and jogging. From time to time I attend races just for fun. I also like photography and taking photos, especially nature and flower photos. You can find me on Facebook, Twitter, Instagram, Pinterest and Youtube. What a wonderful interview with Leelo! I love it! Yay I love learning more about Leelo! I love this series. What a fun read! It's great to get to know more about the people behind blogs :). I loved learning about Leelo, her blog is so nice! Hi Leelo!! What a great post!!! I love my NAKED 2 palette too!!! I just love hearing about other bloggers! So fun.